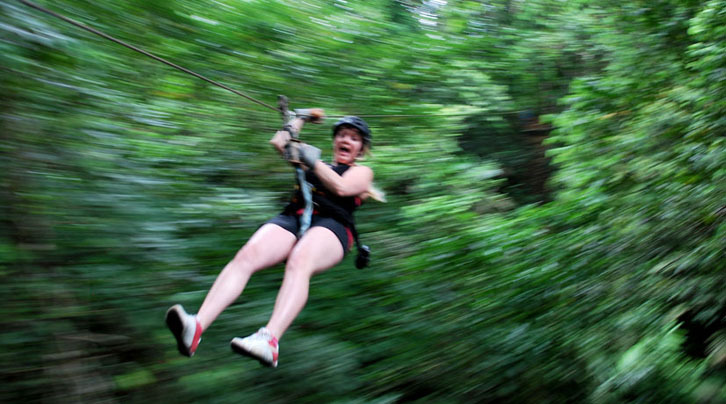 Panama Outdoor Adventures offers a jungle getaway to its visitors packed with an adrenaline-pumping zip-line canopy tour, serene river-tubing, horseback riding and adventurous jungle camping presented on 69 acres of lush terrain almost completely surrounded by the Rio Piedra. Backpackers, nature-lovers, and thrill-seekers bask in the dense foliage on and around the site teeming with life of all kinds. Only 10-15 minutes inland from the Caribbean Coast and just an hour drive from the heart of Panama City via the new Panama-Colon highway, Panama Outdoor Adventures offers an excellent destination for a day of exploration outside of the city from the jungles and mountains, to the shores and sea.